A Handbook for Administrators in Small to Mid-Market Businesses! Troubleshooting complex virtualization technology is something all VMware users will have to face at some point. It requires an understanding of how various components fit together and finding a place to start is not easy. 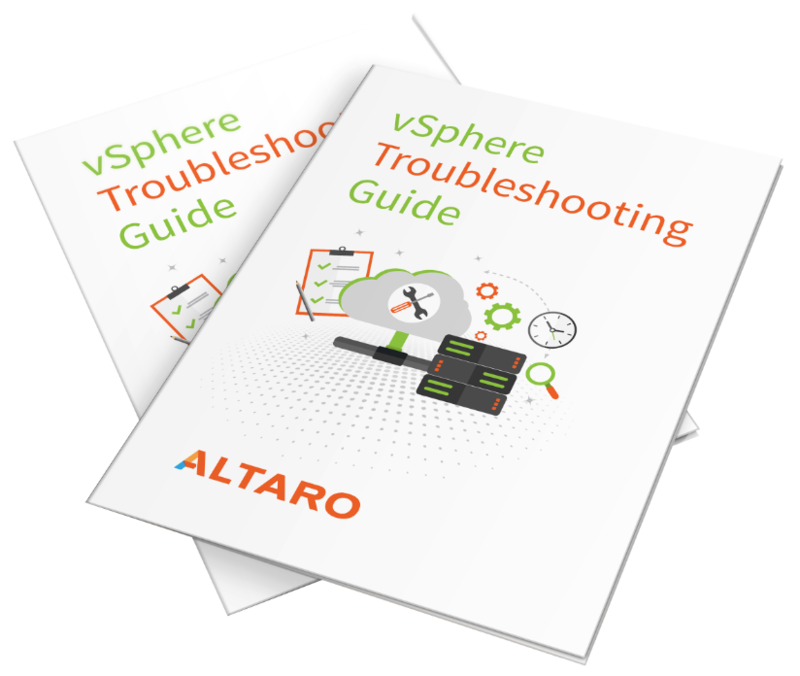 Thankfully, VMware vExpert Ryan Birk is here to help with this eBook preparing you for any problems you may encounter along the way. This eBook is intended to supplement our webinar on VMware Troubleshooting for System Administrators with a more detailed anaylsis of the issues discussed in the webinar session. It takes the very same points presented in the webinar, but delivers more content depth. By downloading this eBook you'll also get access to that webinar as well. Ryan has been working in Information Technology for many years and calls himself a "virtualization snob" these days. He has been a Virtualization Consultant, Engineer and Technical Instructor most recently. Since 2012, he has been a proud VMware vExpert and runs a blog at ryanbirk.com, which happens to focus on VMware home labs.